Green Homeowners : As a homeowner, how would you like a $25,000 loan for green home improvements? Not just any improvements, mind you, but the truly green kind, designed to minimize use of electricity and save you money. Improvements such as added insulation, sealing of ducts, tighter-fitting doors and windows, upgraded HVAC units, and more efficient water heaters. The money could even be used toward green remodels & improvements that use alternative energy, including solar and geothermal systems. As you have probably guessed, this is not just your average loan. 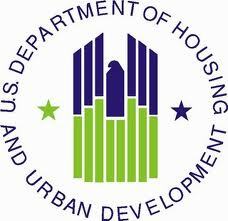 It is part of the experimental new PowerSaver program from the Federal Housing Administration, HUD, and the Department of Energy. And, it is not available to just anybody. In order to qualify, you must already be a homeowner in specific areas of the nation and have good credit scores, very little debt, and a degree of home equity. The inaugural plan is to offer about 30,000 loans over the next 2 years, with moderate interest rates and durations typical of most home equity loans. Green Lenders: Homeowners are not the only ones subjected to a level of scrutiny for this program. In order to participate in PowerSaver, lenders must have already demonstrated their interest in and willingness to make green home improvement loans. And while the majority of the risk of default will be assumed by the FHA, lenders must also assume a small percentage of that risk. So far, only 18 lenders across the nation will be able to participate. Still, all that is to be expected in a time when the economy is struggling, the housing market is slow to rebound, unemployment is high and loans of any kind, let alone home equity and home improvement loans, are hard to come by. Extra precautions are just par for the course these days. Green Jobs: There may be a side benefit to the PowerSaver program – the work available through the funding of home improvement loans is anticipated to create over 3,000 new jobs. If the program is successful enough to be expanded and extended, that number could increase. Who would have guessed that in addition to benefiting the environment and your bottom line, going green could benefit your community, as well?